Everyone draws an unmarked box containing a Dunny figure. Open the box in private to see which Dunny figure you received. 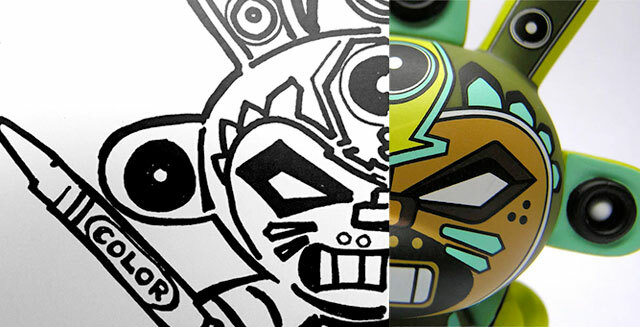 Create an alter ego for your Dunny figure. Come up with a backstory for your alter ego to display at the creative lunch using any medium you want. 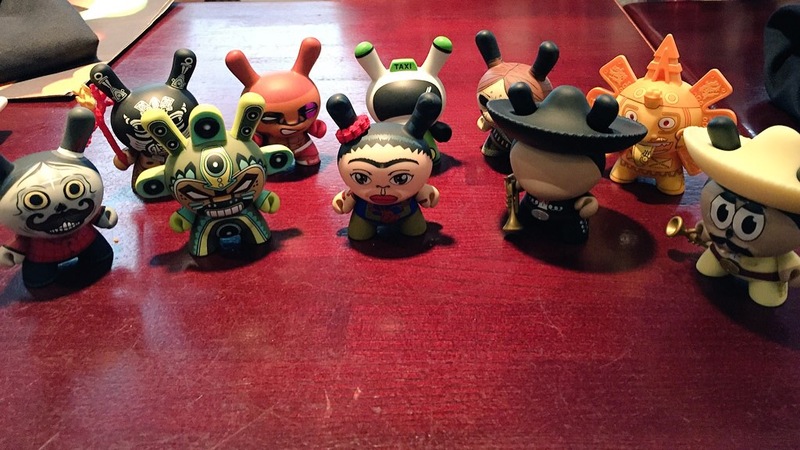 Don’t share which Dunny you picked until the creative lunch. As team building exercises for creative types go, this was one of the most original concepts I had ever been part of. Over the next few weeks, I began developing out the backstory of my Dunny alter ego. I decided to name him El Guapo, the Design Vigilante. El Guapo is part of the millenial generation, and as such uses social media to convey his thoughts on design and marketing. To further develop El Guapo, I created a website (elguapodesignvigilante.wordpress.com), a Twitter handle (@designvigilante) and a Vine channel to help bring him to interactive life. Usually for a project like this, I would wait til the day of the presentation and just make up some off the cuff story. But this time I was really inspired by my Dunny. The more time I spent creating his back story, the further i wanted to take it. It also got me very curious to see how other members of the team would present their alter ego. After a few weeks of preparation, the day of the creative team holiday lunch arrived. As I looked around the table, it was clear that some of my colleagues were as excited as I was to reveal their alter ego. A few looked like they might want to crawl under the table though. Thankfully we started off with some appetizers and a round of liquid courage to ease everyone into the Dunny presentation. One by one the creative team revealed their alter egos. The mediums used were all different and original. Presentations ranged from using sign language with a haiku, to creating a storyboard about how their Dunny inspired the creation of Daft Punk. One person illustrated coloring book handouts for the group, while another team member sang the Frito Bandito song. The most ironic thing, though, was how many of the Dunny’s actually matched the personality of the person who picked it. Remember, this was a random drawing where you didn’t know which Dunny you received until you opened the box. This activity allowed everyone to really relax and let their non-work-focused personalities come through. After our alter ego unveiling it was time for the most important part of the outing: ordering food. The rest of the time was spent reminiscing about the highs and lows of the year, and talking about what we hoped to achieve as a group in 2015. And of course ordering another round to toast our successes. Here’s to hoping you had as much fun with your team as I did mine this holiday season. See you all in 2015!